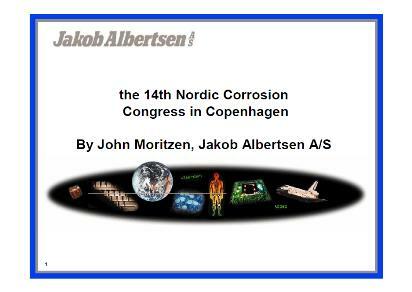 A presentation made for the 14th Nordic Corrosion Congress in Copenhagen. It deals both with Sponge Jet and Ceramic Composite. It deeply gives an insight in both product's functionality. It also deals with several situations about the use of these products.